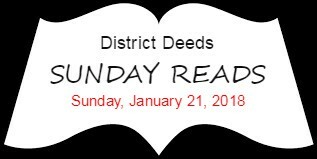 District Deeds Sunday Reads 1/21/18: IEP/504 Plan Must Haves, Keep Your School Choice Debate, Lower Expulsions-Lower Safety? Impulsive behavior. Incomplete homework. Inconsistent focus. Whatever your child’s school challenges, these teacher-approved accommodations can put some real muscle behind his 504 Plan and put the attention back on learning. A great resource for San Diego Unified School District (SDUSD) Parents of Students with ADHD and Teachers. With the horrible decrease of SDUSD Special Education support because of cutbacks from the 2017 Supt. Marten $124 million budget mismanagement disaster it is important that Parents and Teachers are armed with every possible tool to ensure their Students success. The free “Creating and IEP/504 Plan” manual. Sample 504 Plan and Sample Letter to request and IEP/504 Evaluation are valuable tools for ALL Parents. Please pass these resources on to any friends or family that can benefit from it. Growing up, I was TPS (Toledo Public Schools) proud! 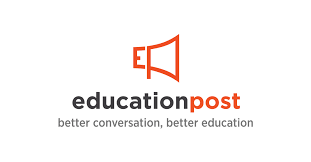 I have been a staunch advocate for public schools throughout my career, and yet, I took my child out of her public school and placed her in a magnet school. Three times. That is the number of incidents it took before I took my baby out of her school. I tried, I really tried, to work with her school. I joined the PTO (Parent-Teacher Organization), even becoming the vice president. I met regularly with her teachers and spoke up for her school, even when I knew it was not getting better. The school had recently failed to meet AYP (Adequate Yearly Progress) and had been taken over by the county—something I did not know when we decided to build our home there. I am an educator, but I did not know to study the schools in the area because I was a new mom—a hard learned lesson. My daughter’s teachers cared about her, but they did not set high expectations. How, I wondered each quarter, could everyone be making As and Bs when the caliber of the work was not what I knew it should be and was below grade level standards? This article is a great example of a similar quandary that many parents in the SDUSD face every year. Many SDUSD parents wish and hope that the SDUSD promise of “Quality Schools in Every Neighborhood” applies to the school that is closest to their home. Many Parents give their local school a try. Unfortunately with all the Board of Education and Supt. Marten mandated cutbacks and reductions of staff, SDUSD schools have been getting increasingly filthier. less safe and mismanaged financially and educationally. Given the continued financial mismanagement by Marten and her cronies…including a $59 million (and GROWING) SDUSD budget deficit disaster in 2018, the reduced choice application window and reduced or eliminated busing options, many Parents feel they have no choice but to move their kids to a local Charter school. It is increasingly clear that the incompetent Elementary School Supt. Marten and equally incompetent senior staff and Board of Education cronies are to blame for this Student exodus…there is NO debate about that! Consider this story, currently being investigated by the DOE, from JHS 80: In November, two eighth-grade boys allegedly did a head-first pile-driver on a sixth-grader, causing him to pass out and convulse. The administrators allegedly delayed calling an ambulance until the students and a teacher gave statements that it was just an accident. This might seem like reckless endangerment. But the administrators were just following instructions: keep the numbers down. In that moment, they had to weigh the life of a child against their own professional interests. They made their choice. They also made it clear that teachers should keep the city Department of Education in the dark about safety. A teacher recorded JHS 80’s dean, Miguel Benitez, telling teachers not to enter disciplinary problems into the school’s tracking software — because the DOE might find out. If that happened, he warned, the higher ups would “come after” them all. The feds were pressuring the schools to get their numbers down, by hook or by crook. According to state data, 73 students were suspended at JHS 80 in 2011. Under de Blasio, in 2015 and 2016, only 17 students were suspended (a dubious coincidence). Whatever the horrifying reality, the stats said progress. What caught our interest in this article is how familiar it felt to what has happened in the SDUSD since the Marten regime took over in 2013. The miraculous reduced suspension “magic” in New York City is a duplicate of what has happened in the SDUSD. School site stakeholders report to District Deeds numerous offenses – from drug dealing to assault on and near campus to possession of weapons. Meanwhile the SDUSD suspension occurrences have been slowly reduced. Since the reduction of suspension offenses in 2014, have SDUSD schools gotten safer …or just “more dangerous”? One tip…don’t bet on safer.